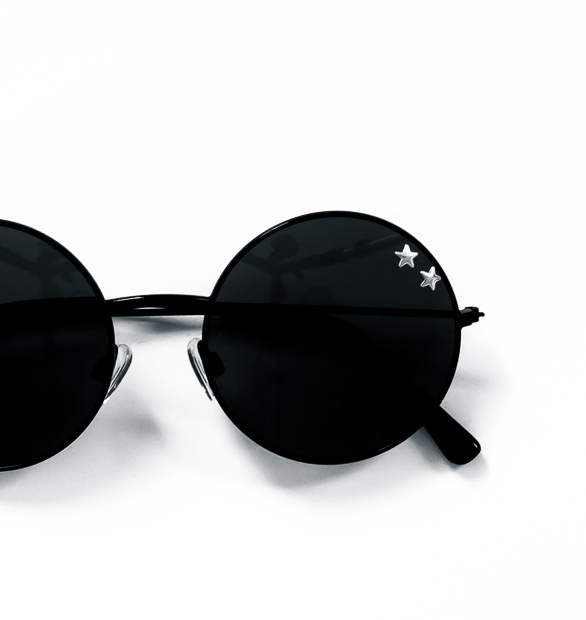 DIY Starry-Eyed Shades | Summer 2017 | MeetMinnie. INSTRUCTIONS: Step 1: Figure out placement of stars. (Obviously, do not place stars in a location that will impede vision. We suggest sticking to the top or top outside of the frame.) Step 2: Apply the tiniest dot of jewelry adhesive to back of flat-back. Step 3: Firmly place flat-back and let dry. Step 4: Repeat steps 2 and 3 until all stars are in place. Festival? Ready.